It is a "street way" to test using a different approach and thinking! If you want use this simple steps. 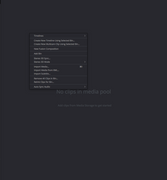 select with left click all video icons on media pool, right click and select "generate optimized media"
I have a similar setup with Ga-X299-Designare EX and i9 7960X, 128GB Ram, SSD Samsung NVME. The problem is that in Resolve, all the cores are not fully working : I mean when rendering the CPU is working at 35% max (I see that in iStat). 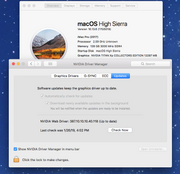 I'm with iMac Pro SMBIOS, latest High Sierra 10.13.6, and I've tried this setup with a 1080Ti or a Vega64 and there is no change : Core not fully working. On the real iMac Pro, I tested my Resolve session and the cores go up to 90%... So I don't understand what the problem is. I will try next week to restart from scracth with Mojave and the Vega64 card and I will come back to you. Hi there and thanks for your reply ! 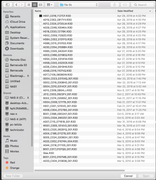 In Resolve, even with a big 4K session, all cores are at max 35%. Don't know why, I've read that it's about TSC Sync but I don't know how to proceed. I will go ahead and restart from scratch the computer, install Mojave, and we will see. Hi there, thanks for your reply ! But I have others problems : No USB3 and no USB port working at all. Can you please share your EFI for the X299 Designare EX ? Ah yes you are on High Sierra, no sure it will works on Mojave... And I'm in F1 bios. I already try your DSDT, it boot and works but still no USB. Where I'm wrong ? OK will try, because we have the exact same motherboard expect that i'm on F1 Bios (I can update of course but last time I've try, the machine refuse to boot OSX). The only difference is that I have a 7960 when you have a 7980. I test and I let you know, thanks again. As I have no Front USB in my case, I keep only the 4 ports USB2/3 rear + the 2 USB ports for mouse/keyboard. Seems to works... I will test an USB-C drive tomorrow. 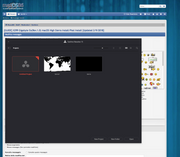 @thenightflyer confirmed this guide is working well also with a new Intel 9980 Xe cpu without any kernel patches..